Law enforcement agents swooped in during predawn raids Wednesday and arrested executives and former staffers of a Framingham compounding pharmacy blamed for producing tainted drugs that killed dozens in one of the deadliest medication contamination cases in US history. 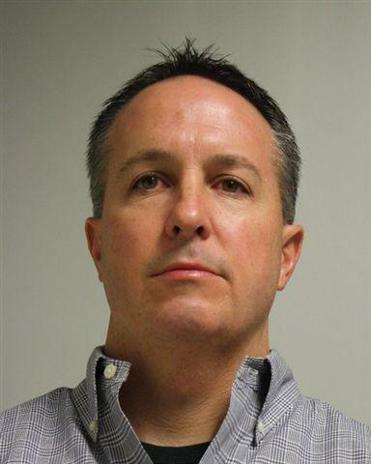 In all, 14 people were charged in connection with the 2012 fungal meningitis outbreak linked to the shuttered New England Compounding Center. Contaminated drugs — produced with expired ingredients under unsterile conditions — have been tied to the deaths of 64 people and to illnesses in about 700 patients in 20 states. The company’s co-owner and head pharmacist, Barry Cadden, and its supervisory pharmacist, Glenn Chin, were charged with 25 acts of second-degree murder in seven states, plus additional crimes. The other dozen defendants, including six of the company’s pharmacists, its national sales director, and another co-owner, face charges including racketeering, mail fraud, conspiracy, and contempt. Some defendants could face life in prison. Prosecutors called the case an “unprecedented” national tragedy, and the indictments ended two years of waiting for patients and families desperate for justice. “Production and profit were prioritized over safety,” US Attorney Carmen M. Ortiz said during a packed news conference in her offices at the John Joseph Moakley Courthouse in South Boston. The indictment alleges that New England Compounding and Medical Sales Management Inc. — a company that shared ownership with NECC and provided it with sales and administrative services — constituted a criminal “enterprise” under the federal racketeering law. “Let me be clear: Actions like the ones alleged in this case display not only a reckless disregard for federal health and safety regulations but also an extreme and appalling indifference for human life,” acting US Associate Attorney General Stuart Delery said. The deaths and illnesses spurred the administration of Governor Deval Patrick to tighten oversight of compounding pharmacies. 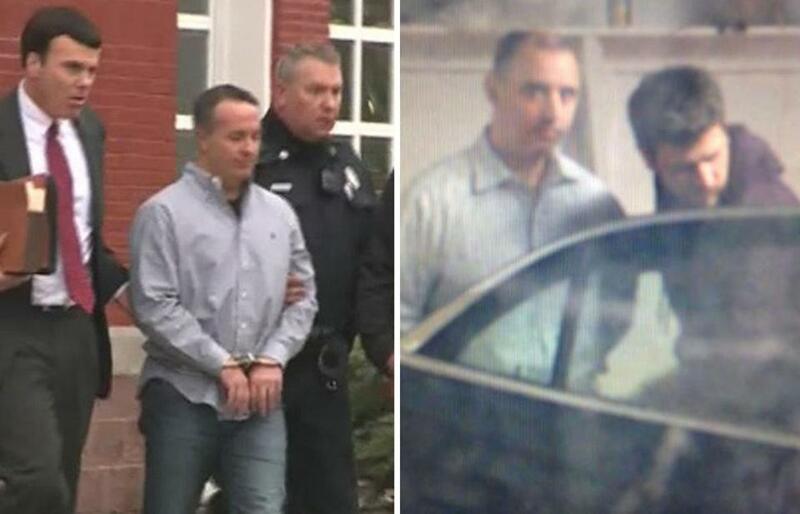 Founder and owner Barry Cadden (left) was led out of the Wrentham police station in handcuffs. Gregory A. Conigliaro (right) was also taken into custody. Several of those charged pleaded not guilty in court sessions Wednesday afternoon. An attorney for one of the defendants told a judge his client would be exonerated. As early as January 2008, Cadden, Chin, and other staffers devised a scheme to defraud patients by using expired ingredients to make drugs and then mixing them with other substances to conceal their actions, the indictment alleges. Company officials and staffers knew bacterial and mold contamination proliferated in their lab’s “clean rooms,” where drugs purporting to be sterile were produced, prosecutors said. And they failed to conduct tests to ensure medicine produced in those rooms was sterile, prosecutors charge. Yet the company continued to send out quarterly “Quality Assurance” reports to hospitals and doctors in the months leading up to the 2012 meningitis outbreak touting sterile labs, the indictment says. To cover their tracks, supervisory pharmacist Chin instructed pharmacists to fraudulently complete logs at the end of each month purporting to show that the labs were properly cleaned and disinfected, according to the indictment. From May 2012 through Sept. 25, 2012, roughly 17,300 vials of methylprednisolone acetate, a steroid commonly injected into a patient’s spine to quell back pain, were prepared in the company’s contaminated labs and shipped to customers across the country, the indictment states. Gregory Conigliaro, another owner of the company who faces charges, conspired with Cadden to deliberately mislead federal drug regulators since at least 1998 by falsely identifying the company only as a compounding pharmacy, not a drug manufacturer, prosecutors allege. As a drug manufacturer, the company would have faced greater federal scrutiny of its operations. “We are a small-scale, family-run compounding-only pharmacy,’’ Conigliaro wrote to the US Food and Drug Administration in 2004, according to the indictment. Conigliaro told regulators that as such a company, it was not subject to manufacturing standards set by the FDA. 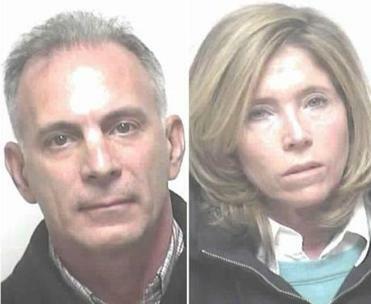 Conigliaro and Cadden also are accused of conspiring to direct employees to falsify records. In order to operate as a compounding pharmacy, rather than a manufacturer, the company needed to make drugs for specific patients. So company officials allegedly instructed workers to create fake patient names, including those of celebrities, such as David Letterman, Robert Redford, and Chris Rock. In June 2012, after consulting with Cadden, Conigliaro ordered staff to create 300 fraudulent prescriptions for patients at a Massachusetts hospital, the indictment alleges. Cadden’s attorney, Bruce Singal, said his client had been expecting the indictment on a Wednesday morning for some time, and for several consecutive weeks had been waking at 4 a.m. Wednesdays, dressing and waiting for federal agents to descend. He told Chief Magistrate Judge Jennifer C. Boal that his client posed “no risk of flight or dangerousness,” emphasizing that he has three children, including two in high school. Singal also said that Cadden is “looking forward to his day in court” and that he will be proven not guilty. Cadden appeared in a button-down shirt, but co-defendant Chin, wearing a faded New England Patriots shirt and what appeared to be pajama bottoms, looked like he was rousted from bed. His attorney, Stephen Weymouth, said Wednesday’s raid came out of the blue, because Chin was already under curfew and being monitored by the court. Chin was arraigned in September after being arrested several days earlier at Logan Airport as he and his family prepared to board a flight to Hong Kong. His lawyer said Chin was not trying to flee but was instead traveling with his family for a vacation. Boal scheduled another detention hearing for Thursday to decide whether to continue holding Cadden and Chin. Company co-owner Conigliaro was released on $25,000 unsecured bond, with travel restrictions. The court hearings Wednesday revealed that several other former company staffers, including Kathy Chin, a pharmacist, and Robert Ronzio, the former national sales director, still work in the pharmaceutical industry. New England Compounding and its related company, Medical Sales Management, were privately held by Cadden and his wife and by Conigliaro and members of his family, the indictment said. Conigliaro’s brother, Douglas, and Douglas’s wife, Carla, face multiple counts of criminal contempt for transferring $33.3 million in cash from various bank accounts when US Bankruptcy Court Judge Henry J. Boroff issued an order freezing their assets in early 2013. The order came amid a flood of lawsuits filed on behalf of patients sickened in the outbreak. In one day alone, authorities allege, the Conigliaros transferred $13.5 million from a New York financial institution to two banks, headquartered in Texas and Georgia. Douglas and Carla Conigliaro pleaded not guilty in court Wednesday, Carla barely audible as she rested her hands against the courtroom table aside her lawyer. Wednesday’s criminal charges follow recent progress on the civil litigation spawned by the wave of deaths. Earlier this month, a proposal filed in federal bankruptcy court called for at least $135 million to be distributed to people who have brought personal injury or death claims against the pharmacy, according to the trustee for New England Compounding’s bankruptcy filing and lawyers advising victims and their families. About 3,500 victims and their families have filed claims with the bankruptcy court. Ortiz, the US attorney, said her team has spent the past two years speaking with families and patients nationwide and listening to their horrific experiences. John R. Ellement and Martin Finucane of the Globe staff contributed to this report.Kay Lazar can be reached at kay.lazar@globe.com. Correction: An earlier version of this story incorrectly referred to Glenn Chin’s role at New England Compounding Center.